I discovered blood oranges 2 years ago, in a pretty well known supermarket in my town. At first I didn’t even knew that blood oranges exists. I know, it sounds silly, but this is the truth. I just thought that the pasteurized juice found in stores, labeled as “Red Blood Orange Juice” was just normal OJ colored in some red. Let’s say that I believed in some type of conspiracy theory regarding this subject. The red blood orange is roughly the same size as a normal orange, but sometimes varies in size. 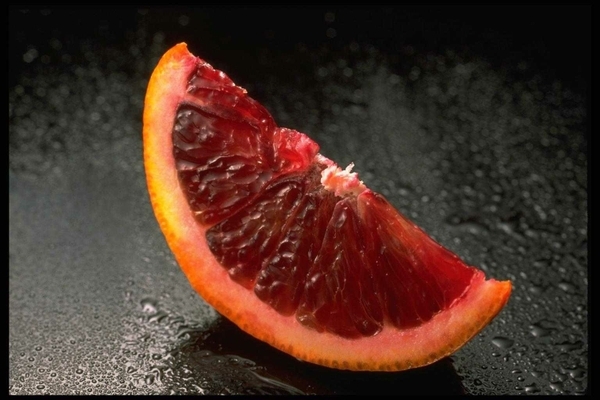 The distinctive red blood color is due to the presence of anthocyanins, a family of antioxidant pigments common in many fruits and even flowers, but uncommon in citrus fruits; so we are talking here about some pretty damn special citrus fruit, in my opinion. Because, their heavenly color makes me happy! I just love their color when I cut them in half. Some of you might say that this is a superficial aspect, but I don’t think so and I will tell you why. Color is the first thing that we see when we look at food in general. Usually if the food has a vibrant color, we are more likely to try it. Also fruits and vegetables have different colors because they contain different types of nutrients. The actual nutrients found in one type of fruit or vegetable gives them their specific color. Isn’t that cool? This means that we have to eat as many different colored foods as we can. Even if we wouldn’t want this aspect to be important, we are doomed by our instincts to like colored food. I imagine that thousands of years ago when we didn’t knew what exact minerals and vitamins are found in one type of fruit or vegetable, we just ate it because we were attracted by their colors, by their taste and YES, because we were hungry and this is our natural food. Red color, that it’s found in this type of oranges, is given by some pigments called anthocyanins, which by the way, are not only pigments, but also excellent antioxidants. Anthocyanins help the body with oxidative stress from free radicals and also have an important role in reducing inflammation. As you can imagine red blood oranges are packed with important nutrients such as: calcium, high dose of vitamin C, vitamin A, folic acid, vitamin B6 and thiamin, magnesium and a bit of iron, making them a super healthy food to enjoy. Personally I enjoy this type of fruit, especially because I can’t find it too often. 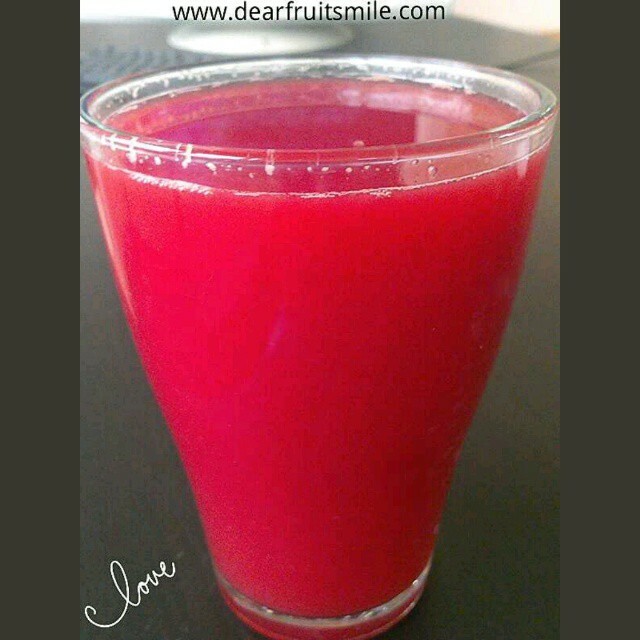 I love making fresh juice from red blood oranges because drinking it in the morning provides me a good start for the day and gives me a sense of joyful state of being. After you juice the beautiful red blood oranges you can add a pinch of grounded cumin; the taste is interesting and you will give your digestive system a nice natural medicine as well. For me this combination is awesome because I also love cumin and tend to put it in a lot of recipes or even eat it as it is. If you don’t like cumin, don’t worry; drink the fresh squeezed juice, plain, as it is. The taste will blow your mind! It’s orgasmic!!! This being said, I hope that you will try this amazing fruit, even if it’s a bit more expensive than regular oranges. When you are juicing it, you can combine it with regular fresh squeezed OJ and you can have more juice for you and your family at a smaller price. In any way or form you should definitely try to include in your diet the red blood oranges, or you can just eat the whole fruit as it is. Cand m-am uitat la acest post instant mi-a venit apa in gura! !Portocalele rosii sunt si preferatele mele ! !Se cate ori le consum raman cu un gust minunat!! !Iar sucul tau arata demential!! !O sa incerc si eu!!! Adevarul este ca are un gust grozav!